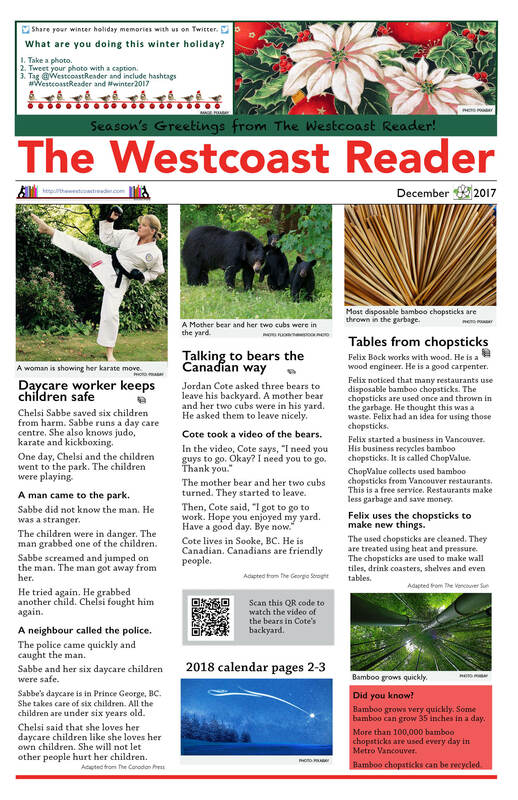 The November issue of The Westcoast Reader newspaper is out! Front page of The Westcoast Reader newspaper — November 2017 issue. The November WCR newspaper has articles about soccer, photo contests, minimum wage in Canada, Financial Literacy Month and more ……. The Canada 150 Photo Contest winners! Congratulations! 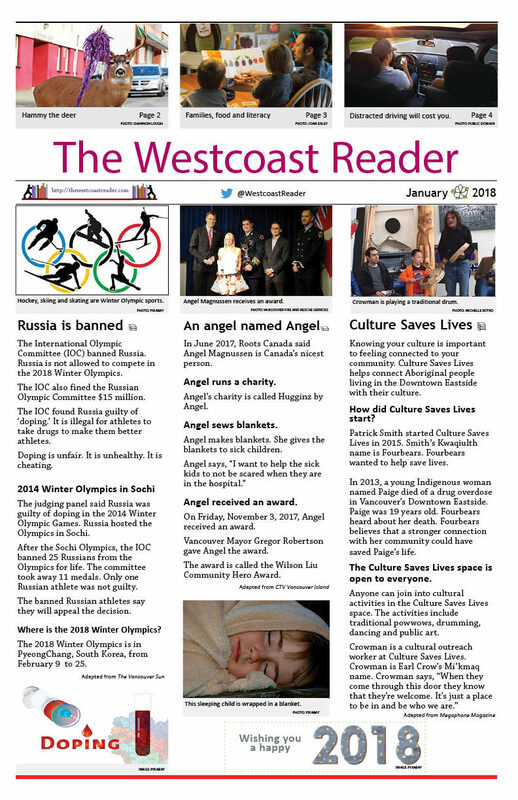 The next issue of The Westcoast Reader newspaper will be delivered to subscribers the first week in December. Subscribe now to be sure you get your copy on time. The WCR two-page Annual Calendar for 2018 will be in the December issue.